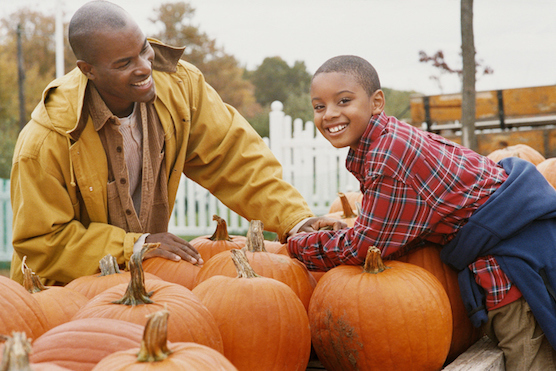 The fall season is a warm and cozy time often filled with family, friends, and fun. Getting your home ready for social events or even just getting in the spirit of the season can be a lot of work, but so worth it once you see it all come together in the end. These five simple fall DIY projects can give your home that touch of autumn that will make your friends and family “ooh” and “ahh” in amazement! Instead of buying wreaths pre-made, make your own to fit your current decorations! You can purchase a plain wreath from a craft store, along with fake berries, flowers, or leaves, and get ready to go crazy with a hot glue gun. Then, instead of hanging it on the door traditionally, set in on your table as a centerpiece. Place candles, seasonal plants like pumpkins or squash, or your favorite vase in the center! Alternatively, give your table an authentic touch by using real plants and leaves that have been dried. If you have pets, be sure to check that none of them could be potentially harmful. Want to add a burst of those gorgeous fall hues to a room? Hollow-out a pumpkin and fill it with soaked floral foam. Put assorted plants and flowers inside, letting larger ones hang out over the edge of the pumpkin, creating an effortless and overgrown look. Fill in smaller spaces with twigs, leaves, or pine cones to make it look full of fall foliage. You can also try this out with smaller harvest plants, like squash—just be sure to level off the bottom so it sits flat on your surface! Have your kids collect pine cones from your backyard and place them upside down in small planters or pots to make them look like small trees. Use cinnamon sticks with hot glue to create different shapes with smaller pine cones or acorns. To add an extra touch of sparkle, let your kids dip or paint the tips with glitter. If you’re having a party or hosting the family this year, let your guests know they’re extra special by having a place set for them at the table! Get mini-pumpkins from the market (and maybe one or two extra for any plus ones! ), hollow them out, and decorate by putting flowers or plants inside. Try handlettering—or simply printing and tracing—the names of your guests onto each one for that personal touch. A super easy way to add a touch of autumn flair to your house with minimal effort is to wrap something in twine with a small acorn, berries, leaves, or flowers. A vase, your candles, the back of your chairs, the doorknob—anything you want to have that small hint of the season. Will you be trying any of these fall DIY projects? What are some projects you do in your own home? Let us know in the comments below!